Razer Phone 2 Specs Leak Online Via Geekbench - Mighty Performance! →Razer Phone 2 Specs Leak Online Via Geekbench – Mighty Performance! Razer Phone release ignited the gaming handset category. We now see the ASUS ROG phone along with Xiaomi’s Black Shark smartphone. 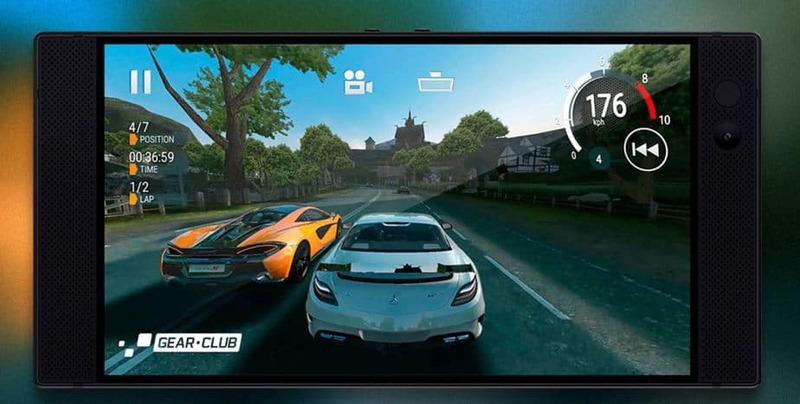 These gaming smartphones are designed to handle high graphics while keeping the device at optimum temperatures. However, since many Android OEMs are operating on the same idea, Razer is working on the second iteration of its smartphone, as it was revealed at the company’s H1 earnings call. Now, we have got our hands on the alleged Geekbench score of the device which shows promising performance upgrades compared to last year’s iteration. Let’s see where the Razer Phone 2 falls. The Geekbench scores for the forthcoming Razer phone 2 are definitely above its predecessor and rank on par with the long existing giants of the industry, It packs all the latest tech inside including the processors and RAM. This is the reason why the device is capable of reaping in scores that beat most of the flagships out there. For the single core score, the highly anticipated Razer Phone 2 reaps 2,026 and 8,234 in the multi-core tests. 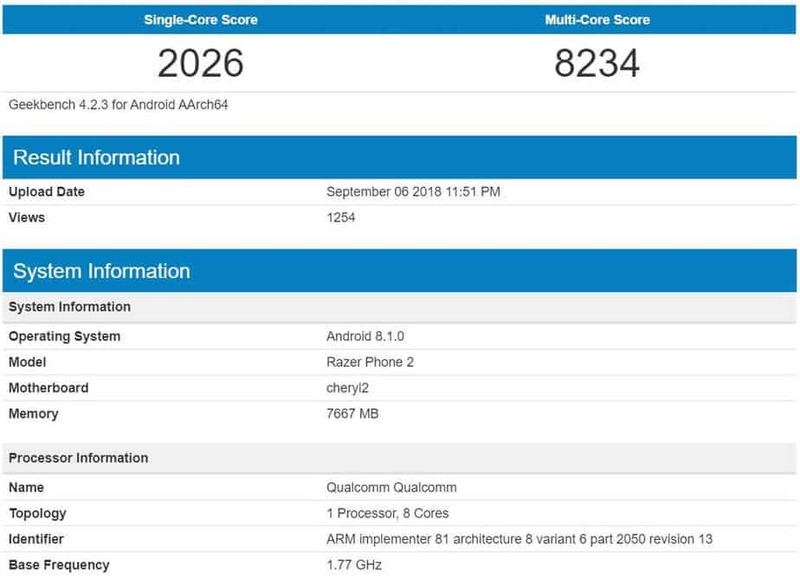 If these scores are anything to go by, they depict that the smartphone will feature the current Snapdragon 854 processor. This makes sense as the device is known for its power and performance and using the latest SoC is just part of the department. In terms of RAM, we have a hunch that it will incorporate the same amount of 8GB RAM as last year’s model. Nonetheless, things can change and we might even see an enhanced version. Moreover, this year, we’re not hoping the device would feature 5G support, but who knows, the company might even surprise us launch. Other than performance, we are also expecting a new design. The Razer Phone 2 will possibly adopt the 18:9 aspect ratio design. However, it will feature a top and chin like the current Google Pixel 2 XL. if the company raises its bar in terms of battery, it might have a unique selling point, excluding the Galaxy Note 9 out of the equation. The stereo speakers will be present at the top and the bottom portion of the front. As great it may sound, we presume the company is doing away with the headphone jack. Which isn’t even a shocker at this point as the only company to be resistant to the change is Samsung. We will share more on the Razer Phone 2 so stick around. What are your predictions for the device’s RAM – 8GB or 10GB?